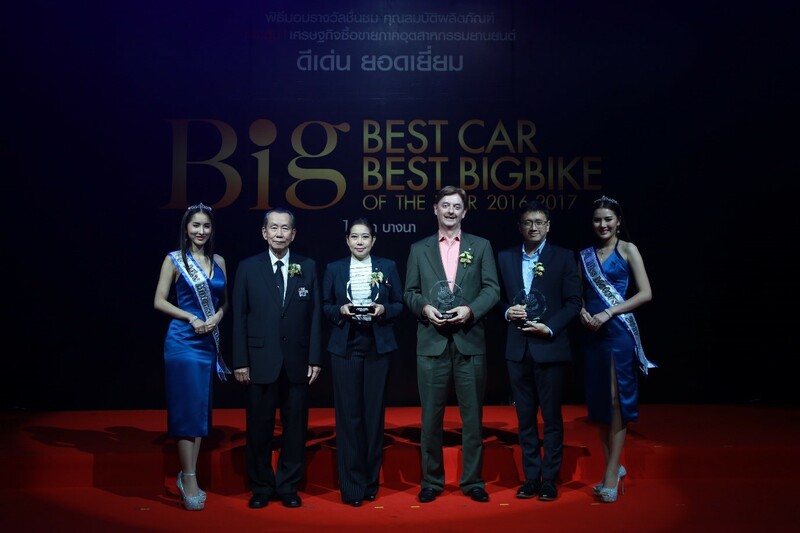 Nissan Thailand has won three "BIG Best Car of the Year 2017" awards at an event held recently at the Bangkok International Trade & Exhibition Centre Bangna. The Best Car of The Year 2017 awards honour Nissan’s leadership in innovation. The event is arranged by Yan Yont Square Group, the organizer of Bangkok International Motor Grand Motor Sale 2017. 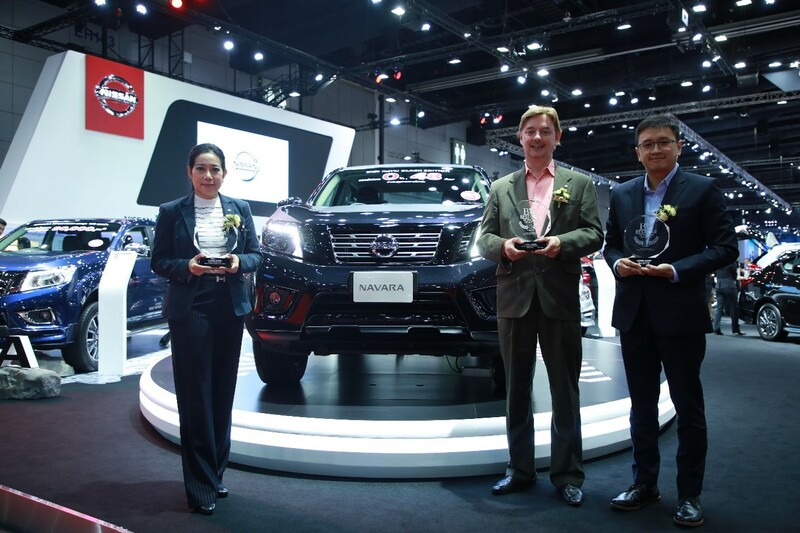 Two Nissan executives – Peter Galli, vice president, Communications and Sureethip La-Ongthong Chomthongdee, vice president, Marketing – attended the award presentation. The Nissan Navara Black Edition is a top favourite with fans and consumers in Thailand. It is the only pickup truck in Thailand that comes with seven-speed automatic transmission and is equipped with a mono-frame chassis and rear air vents. It is powered by 2.3-liter engine, generating maximum torque of 450 nm at 2,000 rpm. The Nissan Note, a compact MPV which succeeded the Nissan Livina won the best-in-class compact hatchback, delivers exceptional spaciousness for driver and passenger, strong fuel efficiency, and Nissan Intelligent Mobility technological and safety features found in no other vehicle in the category.